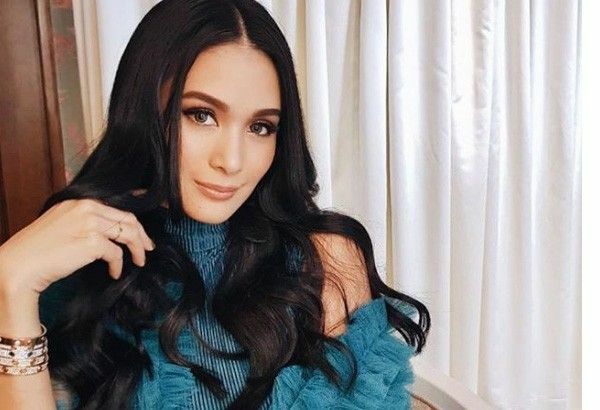 MANILA, Philippines — Kapuso actress Heart Evangelista answered people’s assumptions that she is a “super sheltered” spoiled brat. "I was spoiled growing up. My dad would really spoil us. He would bring us to high-end stores and ask us to please try on those clothes. He'd make us try on all the pretty clothes, modeling like that... He liked dressing us up, my dad and my mom they loved dressing up," the actress shared. But as she was going through life, Heart said she realized she has to adjust to harsh realities. “So yes, I was spoiled, but as you go through life and you don't always get what you want, you start to realize that you have to adjust to life. So as I got older, I adjusted to life. You can't, it's just wrong to be a brat. Spoiled, yes; brat, no,” she said. She also admitted that she is sheltered and she is very happy she ended up with husband Chiz Escudero. “Sheltered, I'd probably be plastic if I said ‘no.’ I think I am, but I'm trying to step out of my comfort zone. I have been and I'm very proud of myself,” Heart said.